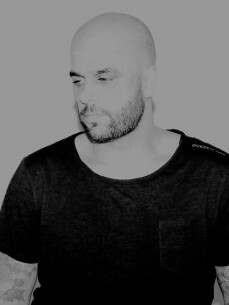 Born in Goiania, in the heart of Brazil, Paulo Santo is a UK based DJ who has always been involved with music. At the age of 17 he had already learned to play the piano, viola caipira and acoustic guitars, which gave him all the bases to carry on learning music. His first contact with Techno and Tech house was in the year 2000 and it was love at first sight! Passionate about the heavy beats, he soon started his journey into this new world. He followed his favourite DJs all around Brazil and started searching for new tendencies on the music scene. It was in 2010 that Paulo Santo decided to move to London, the city that is well known to host some of the best electronic music events in the world. Since then he immersed into the Techno world by working in night clubs, getting to know promoters and meeting people that shared the same love for music. In 2015 he was invited by events promoter Thomas Wonderland to play at LA DIVINA, a buzzing Sunday morning after hours in London. Soon after that, he joined the team of DJs at WRONG, after being invited by its creator Jamie de Roy.